A/B testing is an important subject for marketing and growth. There are many tools can be used for A/B testing like Optimizely, VWO, etc. All of the common features of this tools that they are premium products and you have to pay for using it. In this guide, I want to share you easy and completely free way for A/B testing. Google Analytics is an essential tool for all of us. 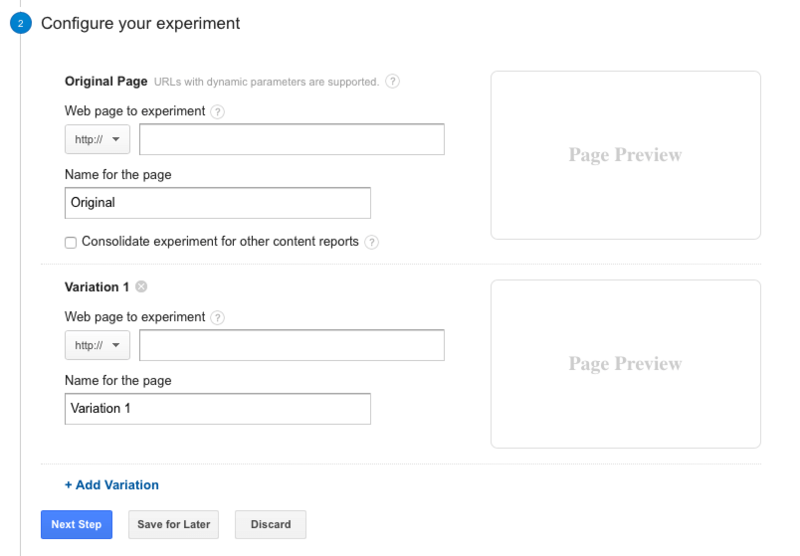 Did you try to Google Analytics Experiments for A/B testing? If not, keep reading and learn how to use Google Analytics for A/B testing in just four simple steps. Let’s assume you have a landing page and want to try another value proposition and see which one works better. In this case, you have to create an alternative link for the variation. www.example.com/landing is your original landing page, and www.example.com/landing-2 is the test page. Before start, be sure both of pages have Google Analytics tracking code. Now we are ready to setup Google Analytics for A/B testing. 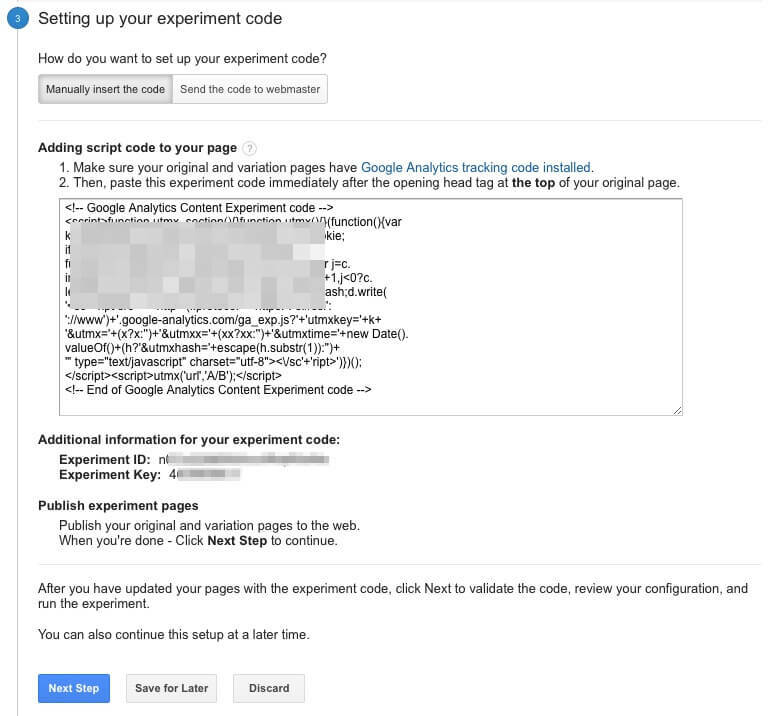 Click on Behaviours and Experiments link in Google Analytics. You’ll see an empty screen and ‘Create experiment’ button on the top left, click on it. Firstly you have to complete essential things about A/B testing. What is your subject? Choose the goals you want to improve. Write an experiment name that is self-explanation. 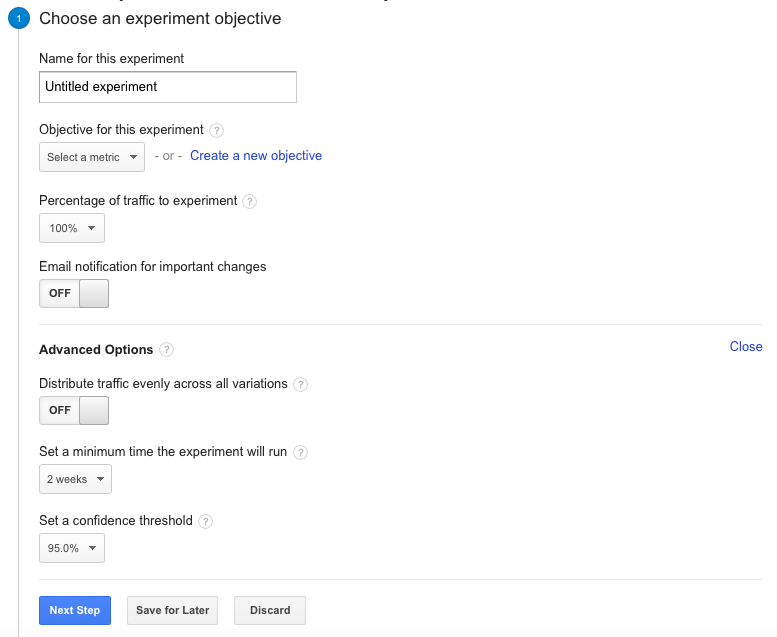 Next thing you need to do is determining what percentage of your traffic will be redirected to test variation. From 1% to 75% there are lots of choices. 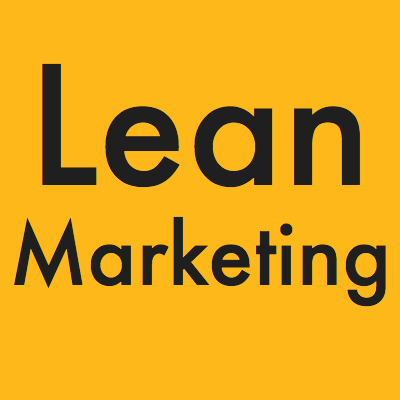 If you test major things like value proposition and have lots of traffic it can be good to start with 2% or 5%. Google’ll send you emails about important changes, so I suggest opening email notifications. In the advanced settings, you need to decide three things. First if you run A/B/n test, you need to determine all of the test variants get the same percentage or not. Second things about the duration of test. I choose 2 weeks generally. And finally confidence threshold is about result accuracy in statistically. If you have lots of traffic, choosing %99 percent will be best practice. The second part is about configuring test URLs. Be sure you write the original page link in right field. (We’ll use this after.) After writing URLs check page previews and be sure everything goes okay. Now we need to do some code issue. Google Analytics will give you a custom code to put in the original page within <head> tags. Copy and paste this code just the original page, not variations page. In variation page, you just need Google Analytics tracking code. When you did code installation, click Next Step. In the last step, Google checks your pages and give you report. If everything is okay, you see a screen like this, and that’s all! You’re ready to run your test. You can check Experiments page for results and how variations performs. When enough data collected, Google’ll send you an email, and you can find the winner!